Max Dolcelli has appeared just about everywhere and done just about everything a comedian can do. After nearly 30 years of making people laugh, Max has the experience and repertoire to deliver the kind of show people want. No matter what the type of show, Max's animated onstage presence and sharp material get the audience on board for a wild ride. If you've seen or heard Max, you know how funny the guy is. If you haven't, why not find out! The new Comedy Club at Cheers, with the assistance of the Boston Comedy Festival, will offer shows at 9:00PM on Friday and Saturday nights. Each show is $15. 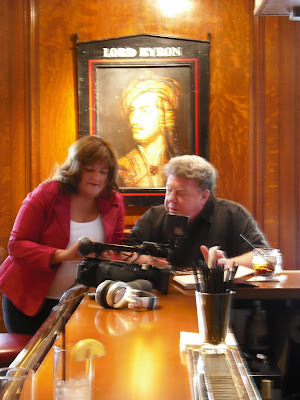 Cheers star George Wendt stopped by the Set Bar at Cheers Beacon Hill last Friday, much to the surprise of our staff and visitors. 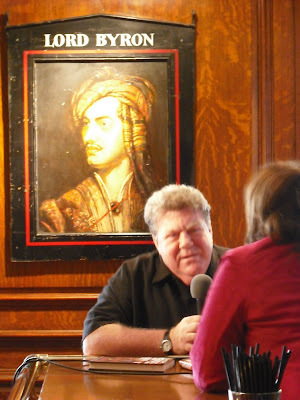 He was in town promoting his new book, Drinking with George, which was released last Tuesday. The book is a memoir, of sorts, with a mix of anecdotes and trivia involving Norm's and George's favorite beverage. 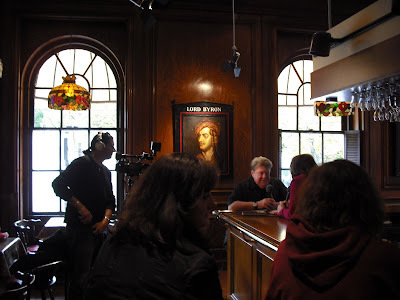 Prior to a nearby book signing, George realized there was no better place for an interview than at Cheers, which has played such a role in his career, as well as suiting the theme of his book. 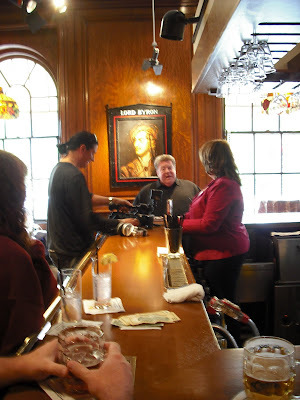 He grabbed Norm's seat for the interview as Cheers' guests gathered round the bar and actually were drinking with George! 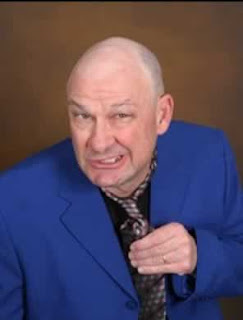 Steve Sweeney will be at the Comedy Club at Cheers this Friday and Saturday, for our second weekend of shows. Steve is a regular on The Late Show with David Letterman, Evening at the Improv, and on HBO. He has been featured in the films Back to School, Celtic Pride, Brass Ring, Enough All Ready, Next Stop Wonderland, Southie, There's Something About Mary and Me, Myself & Irene. 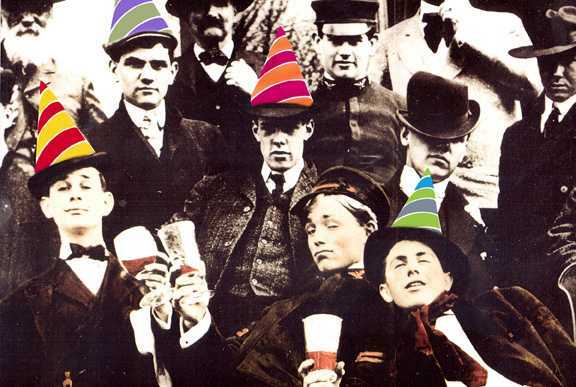 2009 is a big year for Cheers! It's been 40 years since current owner, Thomas A. Kershaw, purchased the Hampshire House at 84 Beacon Street and 40 years since the opening of the Bull & Finch Pub, now known as Cheers. It's also the 30th anniversary of fundraising for our Cheers for Children charity. We're hard at work organizing a grand event to mark the occasion, a party so large we'll be using all three floors of the Hampshire House. Proceeds from the event will be going to Cheers for Children, for the benefit of the Jimmy Fund, the Floating Hospital for Children, the Cam Neely House, and the Globe Santa. Tomorrow night, a new comedy club will be opening in Boston... At Cheers Faneuil Hall! The club will be run by the Boston Comedy Festival. 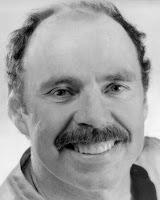 Our headliner for the grand opening is Jim McCue, a founder of the Boston Comedy Festival. Jim has been featured on Comedy Central, Last Comic Standing, and XM Satellite Radio's comedy channel. He is a frequent opener for Lewis Black and twice yearly tours overseas military bases. His first book, Embedded Comedian, was published in 2008. 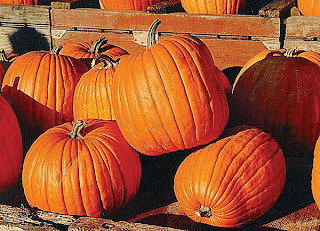 Unfortunately, Life is Good's Pumpkin Festival will not be occurring in Government Center this year, so your excellently-carved jack-o-lanterns will not be able to take place in a world record attempt. We apologize for the confusion! However, Pumpkin Fest at 75 Chestnut is still on! Come this Saturday afternoon to enjoy our fall menu additions and to carve a pumpkin for your own home. Call 617-227-2175 to reserve your pumpkin today! The chill in the air means fall is officially here to stay. And 75 Chestnut is ready to embrace the season at Pumpkin Fest this Saturday. We've got a generous supply of pumpkins from Smolak Farms in North Andover. Call 617-227-2175 to reserve yours today. And start planning your design, because Pumpkin Fest is only 4 day away! 75 Chestnut's 4th Annual Pumpkin Fest! Pumpkin Carvers of all Ages Wanted! You can carve, decorate or paint your pumpkins to get ready for the big night on Halloween. Then, join us in bringing your carved pumpkin to Government Center and help us smash a World Record! 75 Chestnut Restaurant will feature new Fall Menu items and specials including: Harvest Pumpkin Bisque, Smolak Farms Apple, Peach & Pumpkin Martinis and Cranberry Apple Crumble. To reserve your complimentary pumpkin, call today! 75 Chestnut is having a jewelry party! 75 Chestnut's very own Lisa Jackson will be joining us, selling beautiful, eclectic, eccentric pieces from the Silpada Catalog. 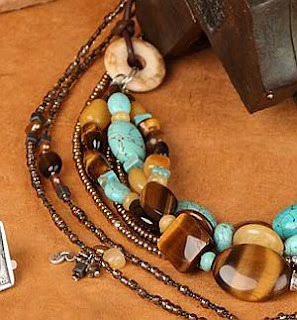 Come in to shop, browse, buy or just enjoy the evening with your friends and neighbors on Beacon Hill.